Pajiba recently posted an article about the various book-related movie projects being produced by Reese Witherspoon. 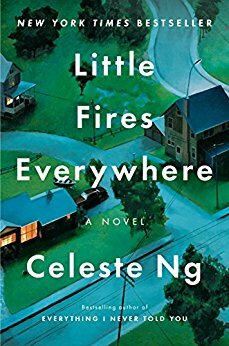 It's quite a list, ranging from Celeste Ng’s Little Fires Everywhere to S.J. Watson's Second Life. Not all of Witherspoon's choices appeal to me, but I commend her for believing that there's a market for stories by and about women—a belief that is a lot less common than one would hope.